Most nights I have trouble falling asleep. It does not matter what time I go to sleep, it can take an hour or more for me to fall asleep. I try everything to fall asleep but nothing seems to work.My husband tells me it is all in my mind as he falls asleep quickly. I try all the mind games to help me sleep, even prayer. I just lie there listing to my husband, snoring away. I discovered a solution to my problem and now I can finally fall asleep faster. I was sent a CD from The Livewell Series called Sleep Well to help me fall asleep. This CD promises me that I will get the deep restorative sleep that I need. This CD works by helping you relax with beautiful music and a soothing voice of a person taking you on a imaginary voyage. The person on the CD takes you to a soothing place where you will learn how to cast your cares away. That sounded simple to me and I was looking forward to a good nights sleep. That night I put the CD in the player and started to listen to it. 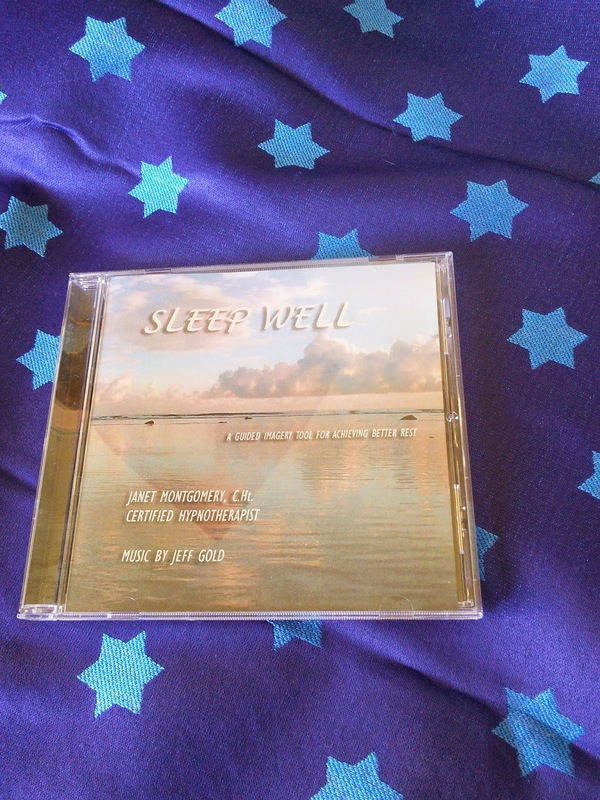 The Sleep Well CD had a lady talking in a gentle soft voice and there was soothing music in the background. The person's voice told me to think about different things and helped me to relax. Her voice was boring but the music was nice. I guess the boring voice is what I needed to relax and fall asleep. That night I don't remember how long it took me to fall asleep but I slept all night and woke up not tired. So how does this CD work to help one fall asleep? It uses hypnosis through guided imagery. Listening to a detailed visual description of a physical place causes our subconscious to create a photo for itself. Add some beautiful relaxing music and it can seem even more real. Since our subconscious mind can’t distinguish between reality and fantasy, we experience that place as if it were real. At that point, our conscious mind is distracted and our subconscious is open to suggestion. A deep state of subconscious is the ideal place to affect behavioral change. When intentions are instilled at this level, they become indelible in our psyche. This is the science of hypnosis, and the aim of this program is to aid you in the process of self-hypnosis through guided imagery....and help you achieve a deep restorative sleep. To listen to clip of the Sleep Well Cd, click the below link. This website also sells sleep CD's for children and other relaxing CD's. I like the one that helps you get a eleven minute nap. The children sleep CD's includes a trip to a farm and one that is about the sea. So how well did you sleep last night? 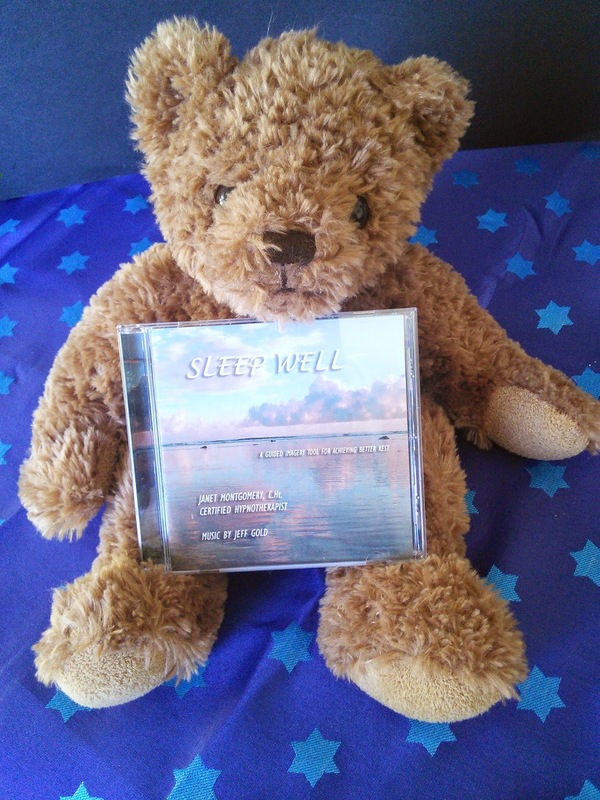 I am giving away a Sleep Well CD to one of my readers. Just enter on the form below and good luck. "These opinions are my own and a was sent the above mentioned product to write this review." I'd love the Live Well stress management one, although they all look great. You have so many nice giveaways. Thank you! I could use this too. I have trouble falling asleep too. I suffer from insomnia- could really use this! thanks for sharing! Great giveaway! Sleep is a necessity and I love listening to soothing sounds to help me shut off and drift away. Oh my! My son SO needs this! He is a terrible sleeper! I would also like their CD: The Eleven Minute Nap. This CD looks great too. I would like to try this. I laughed at the part about the boring voice but I agree that it could help set the mood for sleep. Great post. Thanks! I would love to try the Sleep Well for Kids Under the Sea. I would love to have the Sleep Well For Kids: Under the Sea for my son!